Truck Mounted Platform Hire is suitable for use across a wide variety of industries and can be used to safely work at heights up-to 330ft (103m). Our fleet of access platforms is the most extensive in North America and have a working range from 108 to 330 feet in height reach and as much as 115 feet in side reach. The flexibility offered by these machines not only increase productivity but offer unrivaled safety when working at extreme heights. 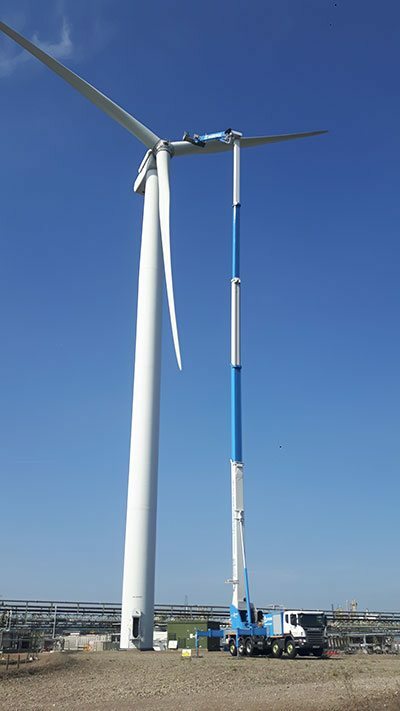 Our largest machines have setup time of only 10 minutes and offer a cost effective solution when working at height and are ideal for when works need to be carried out at multiple locations. In addition to the standard work cage, an array of attachments can enhance the lifts’ capabilities. These include power lifts, boom winch to lift up up to 2,660 lbs, an extendable 16 feet cage, internal controls and much more. Contact our help desk today to discuss your needs and ensure that you hire the right machine for your needs.